Winter Update - Tom Jarmyn, CD -Veterans Review and Appeal Board As we come to the end of 2017 and look forward to the New Year, I would like to update you on some of the key initiatives and news from the Board from the past few months. Finally, on behalf of all of us at the Board, I would like to wish you and your loved ones happy holidays and best wishes for the New Year! Bob Cade’s remembrance day story. Here is a story for you re Remembrance Day. I was asked by Memory Canada to talk to a group of Girl guides on the 6th November which I agreed to do. However when checking with the Leader – it turns out that the group are Sparks – the youngest of Girl Guides – Age 5 –6. How do you talk to five and six year olds about Remembrance Day – They have an attention span of about 8 minutes if they are interested in what you have to say. What to do? I decided that I would start with the objectives of the Day and concentrate on the Poppy as the Symbol – Tying it together with our Flag as a Symbol of Canada. 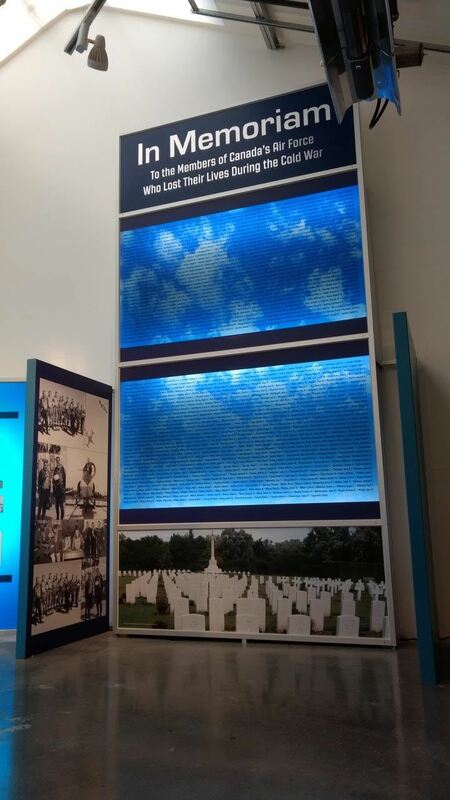 I would then ask them if they would create their own Poppies, and have them brought to the Brandt Centre (this is where Regina’s Main Service will be taking place). I lead the Veterans Group on the Parade and I made arrangements with the Leader to pin all Veterans and the Police who were pushing the wheel chair Vets with a poppy of the Sparks creation. On the back of the poppy was a Thank you for your Service and signed by the Spark who made same. They also gave their home addresses in case a Vet might want to write them. Well the project was well received and the Leader with some Senior Guides came and pinned all Veterans on Parade prior to them marching across the Arena to accept the accolades from the crowd – estimated at well over 5000 plus another 200 or so on the parade itself with the VIPs and Bands. I must tell you how pleased the Vets were to receive this little extra and when they were told the poppies were made by 5 and 6 year olds it was just that much more appreciated. I was at a loss as how to approach my task – but in the end it was a win-win for everyone – I give thanks to the Lord and the Infantry model of max flex. The cenotaph is located at the new Department of National Defence headquarters at the former Nortel complex in the west end of Ottawa. Natural disasters in the U.S. have caused a minor delay in getting some of the needed construction materials. 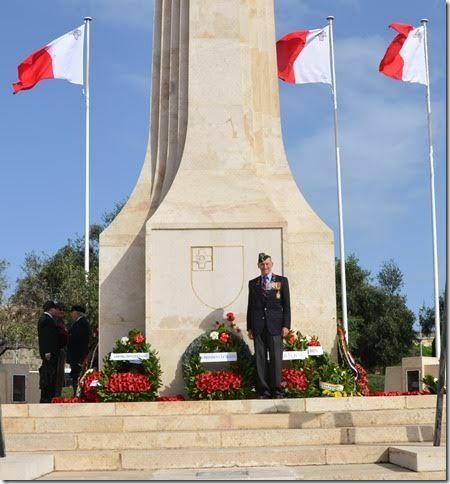 The cenotaph was installed first and then a building constructed around it. The official opening for the Kandahar Airfield Cenotaph won’t take place until next spring when the landscaping around the site is finished. However, DND staff and military personnel will have access to the site in the meantime. 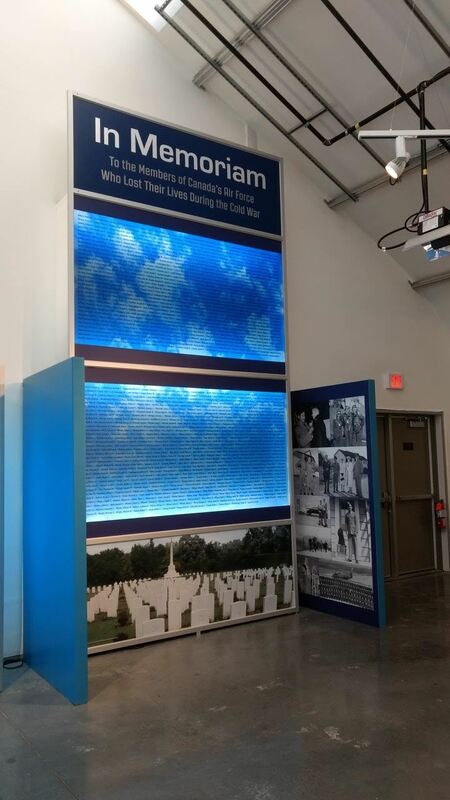 The cenotaph at Kandahar air field, built by Canadian Forces personnel and Afghan employees, became a symbol for many Canadians of the losses endured in the Afghan war. DND officials concluded that the cenotaph would not survive an Ottawa winter if left outdoors so it required a building to be constructed around it. Gord Jenkins, our National Past President, giving a talk to some students from Saint Gregory Catholic School in Ottawa. 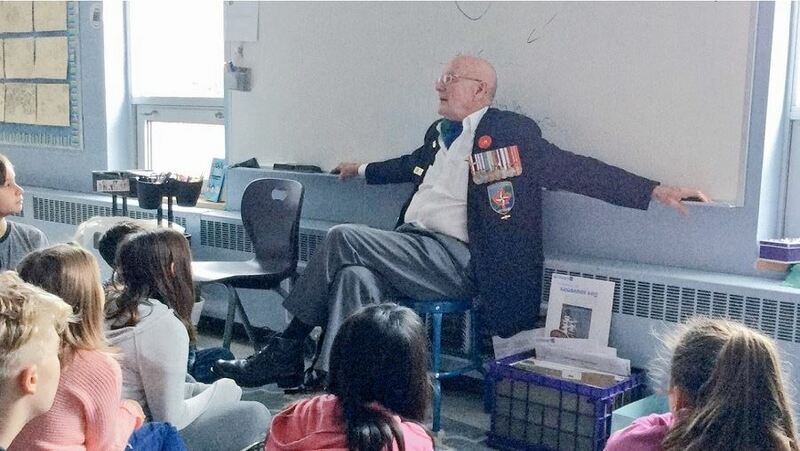 Gord talked about Remembrance Day, and then he had a one-on-one discussion with the students on what Remembrance Day meant to them. In a few weeks, a second report will attempt to link the government's priorities and actions with metrics that track real-world progress and change. Since coming to office in the fall of 2015, the Liberals have dwelled on a school of thought known as "deliverology <>" — an approach, developed by an advisor <> to Tony Blair's Labour government in the United Kingdom, that aims to prioritize the delivery of policy and the measuring of results. "A lot of energy is placed on announcements — oh, we're investing $20 million in this project. And the follow-up a year later or two years later — to say, well, X number of people have had their lives affected positively by that investment — isn't always part of the operations or philosophies of government," Justin Trudeau said in May 2016 <>, in response to a question about the government's management philosophy. In theory, that would be a useful approach. A "results and delivery" unit has been established in the Privy Council Office and each government department now has a chief results and delivery officer, as well as a chief data officer. With that second report, "deliverology" will go public. Data might be presented on things like child poverty, housing, retirement security, access to broadband internet or boil-water advisories on Indigenous communities. The public release of Ministers Mandate letters was a new event and there is now a an effort to track results [a political effort that some journalists are asking questions about?]. In any event this is a start and does add some level of accountability and transparency. Should give the journalists lots to read and reflect upon. Do not see any mention of “Lifetime Annuities/Pensions”? The Prime Ministers office this morning went live on the Mandate Letter Commitment Results. You may have to copy and paste the link in the email title into your browser. Type in "Minister of Veterans Affairs" into the search bar and it will show all those related to VAC. This will serve as a means of tracking the Governments progress against the Ministerial mandate letters. CAF/VAC JOINT SUICIDE PREVENTION STRATEGY This strategy outlines who is identified and cared for. It provides the Principles, Mission, the shared Strategy, and Unique Actions to be taken. It talks about communicating, engaging and educating, building and support, connecting and strengthening through CF families and communities, timely access, and promoting well being. It explains the action being taken by both the CAF AND VAC, and it provides the framework for CAF/VAC action to prevent suicides. National Capital Regions, Military Family Resource Centre 25 September 2017. Members of the NVOC Board had a tour of the resource centre and they also had their monthly meeting. From left to right the names of the people in the photo are: Caroline Chor (Interim FWS Manager), Heather Cudmore-McCarthy (Welcome and Information Services Coordinator),Jorrott Holtzhauer, Robyn Curry (Deputy Director), Ted Bransfield, Randy Stowell, Wayne Douglas, and Ken Richardson. Medically unfit for deployment? 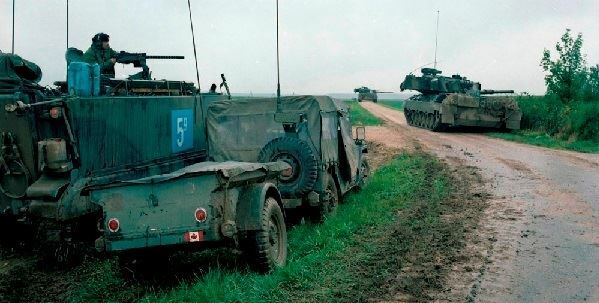 We'll try to employ you elsewhere, says Canada's top general The Canadian military is redesigning itself to make room for troops who may not be "deployable,“ but are still ”employable," the country's top general said. The remarks by Gen. Jonathan Vance, the chief of the defence staff, represent a social and cultural sea change for an institution that has been accused of discarding injured members who, in some cases, have begged to continue serving. Since the release of the Liberal government's new defence policy last spring, Vance has telegraphed that he wants to improve the career prospects of the wounded and that he was open to being more flexible. Indeed, the often-touted policy itself stipulated that wounded troops would be allowed to remain in uniform "on a case-by-case basis." But Vance went a step further in his comments at the end of a marathon news conference last week related to the government's suicide-prevention strategy. "We are in the process of redesigning the force structure of the Armed Forces," he said, noting that post-traumatic stress should not be barrier to serving your country. "Give someone purpose. And more importantly, remove the automatic-ness, if that's a word, of leaving the Armed Forces simply because you come forward and manifest with a mental health challenge. We have lots of people inside the Armed Forces who are — have — are suffering mental illness, and they carry on." What must be recognized, he said, is "that there are parts of the Armed Forces that we could consider employable but not part of that deployability chain," he said. The military has long operated under what's known as the universality of service rule, which requires members to be fit and ready to go into the field, at home or overseas, at a moment's notice. Those who are injured, physically or mentally, are given three years to recover and return to full duty. If they're unable to do so, they are forced out under a medical release. This became a significant issue in the aftermath of the Afghan war with as many 1,700 troops a year, many of them with post-traumatic stress, being released in a medical category. The former Conservative government, which insisted in 2013 that troops were not being summarily hustled out the door, faced a barrage of criticism from disaffected soldiers and a public backlash. Even in the face of a public and political backlash, the universality of service rule remained sacrosanct, and Vance's predecessors refused to budge. Preserving the standard is something the current defence chief said he intends to do, but building in flexibility is now a major priority. "We must be deployable. We are an armed forces, after all," said Vance. "We have to be able to do what we've got to do. But we also have to think in terms of the value of the individual is not just deployability." The comments were greeted cautiously by former soldiers, including one who has long campaigned for the military to find alternative positions for wounded combat troops. Retired corporal Glen Kirkland, who survived a Taliban roadside bomb attack that killed three of his comrades, said he will wait to see how it unfolds. At the moment, "it is really a broken system," he told CBC News. "And the government is so used to using Band-Aid fixes, it needs to be re-evaluated and start from scratch." 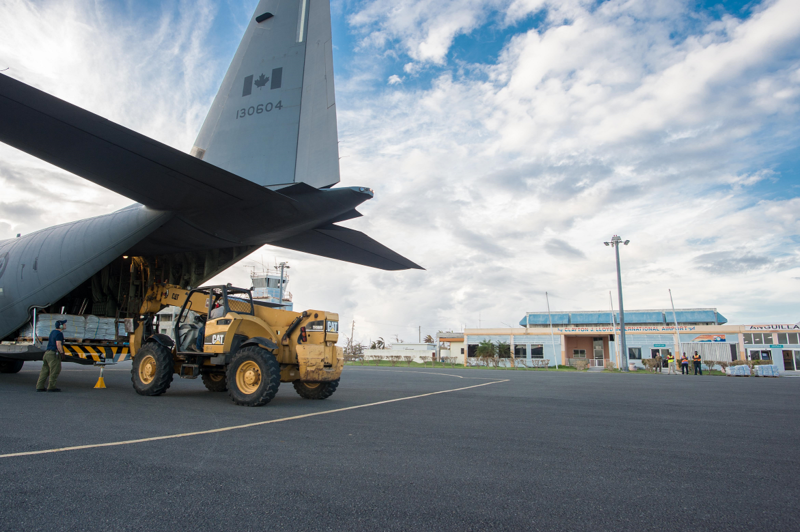 Operation RENAISSANCE IRMA is the CAF mission to support Hurricane Irma and Maria relief in the Caribbean in support of Global Affairs Canada. 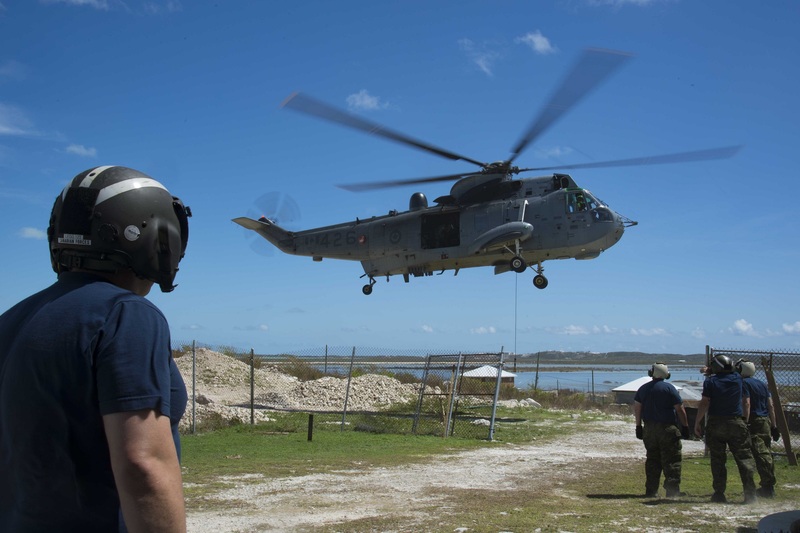 Her Majesty’s Canadian Ship (HMCS) St. John’s and its CH-124 Sea King helicopter detachment are helping with relief efforts in Dominica, where it transited after Hurricane Maria. Its crew is on land clearing debris and conducting repairs. The Sea King is delivering water and supplies and transporting personnel. It also conducted four medical evacuations shortly after it arrived. 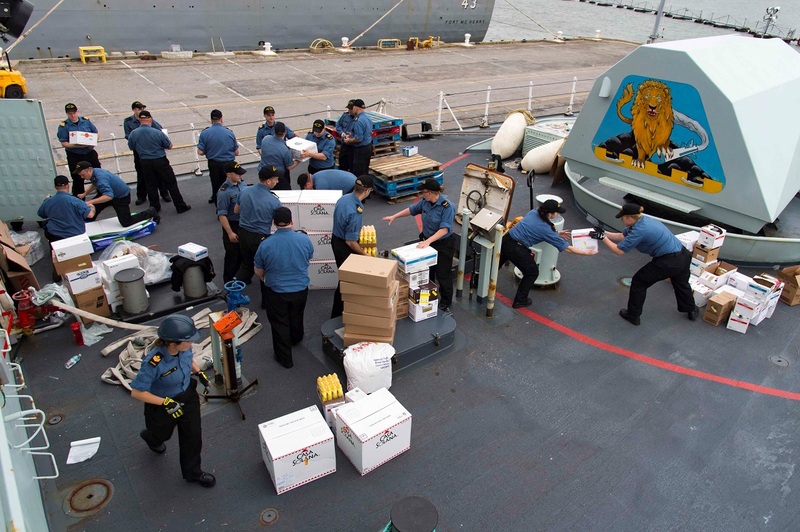 Before transiting to Dominica, HMCS St. John’s was helping with relief efforts in the Turks and Caicos. There it removed debris, restored power and water sources, scouted the area, delivered water to locals, and assessed underwater damage. Two CC-130J Hercules aircraft based out of Barbados are providing airlift support to partner nations. At the request of Jamaica, one of these aircraft is moving the Jamaican Defence Force’s Disaster Assistance Response Team and equipment to Dominica. 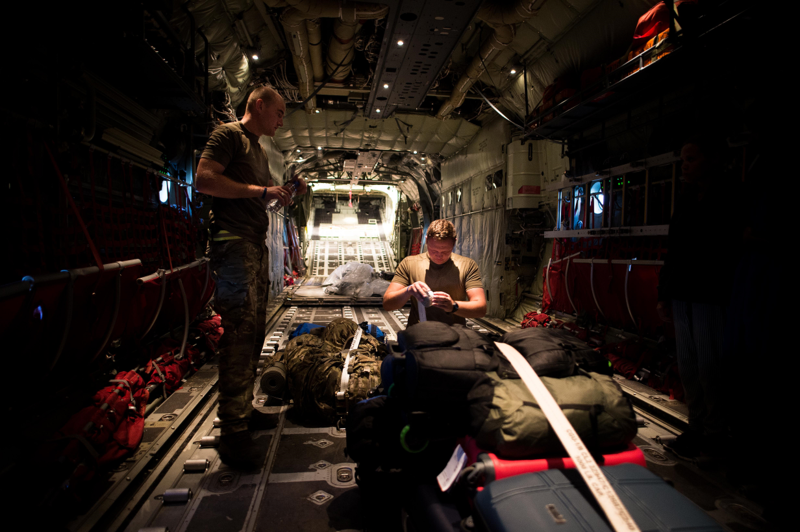 At the request of the United States, a CC-177 Globemaster is providing airlift support to American relief efforts in Puerto Rico and the US Virgin Islands. A CP-140 Aurora was also deployed on this operation. 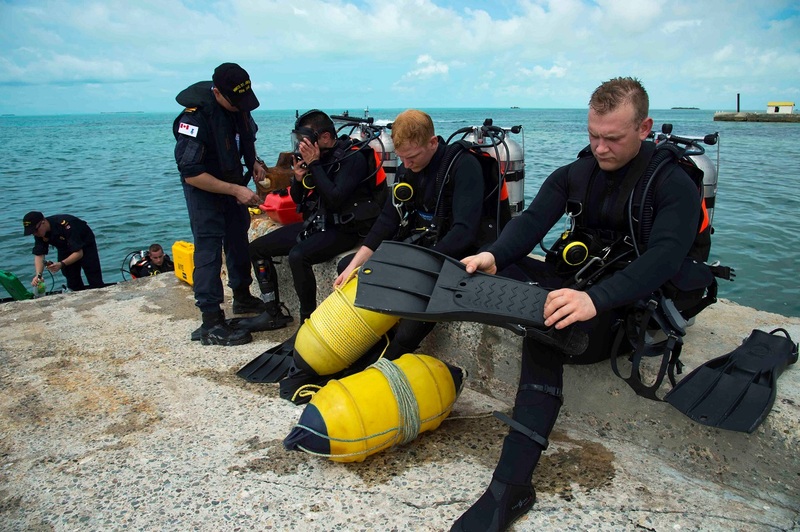 Based out of Barbados, it was tasked with capturing imagery of affected areas. 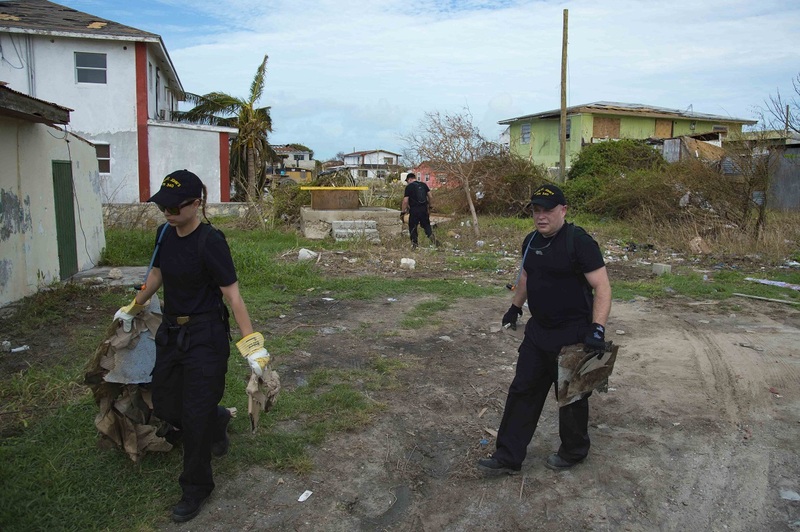 Partner nations used this imagery to assess and respond to the aftermath of the hurricanes. The Aurora returned to Canada once it had completed its mission. 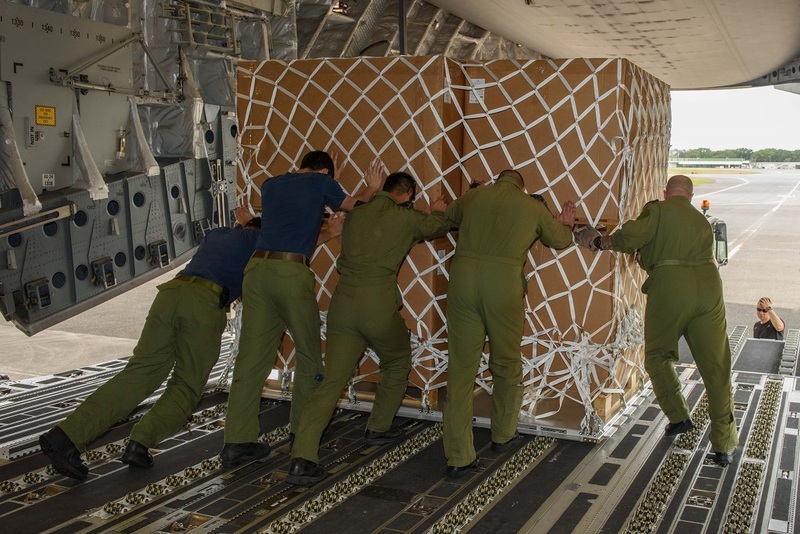 Previously, a CC-177 Globemaster supported France by transporting equipment and supplies from Bordeaux to Guadeloupe. 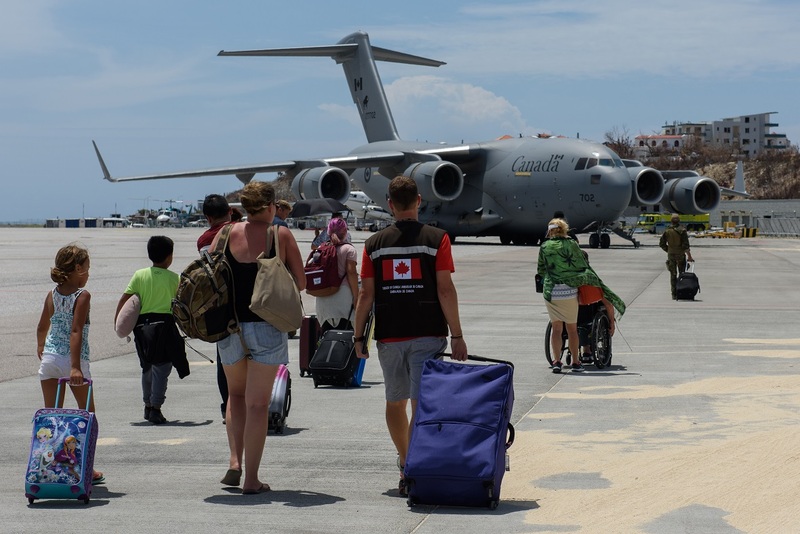 As arranged by GAC, on its return flight it flew 66 evacuees and two service dogs from St. Maarten and the Turks and Caicos to Toronto. 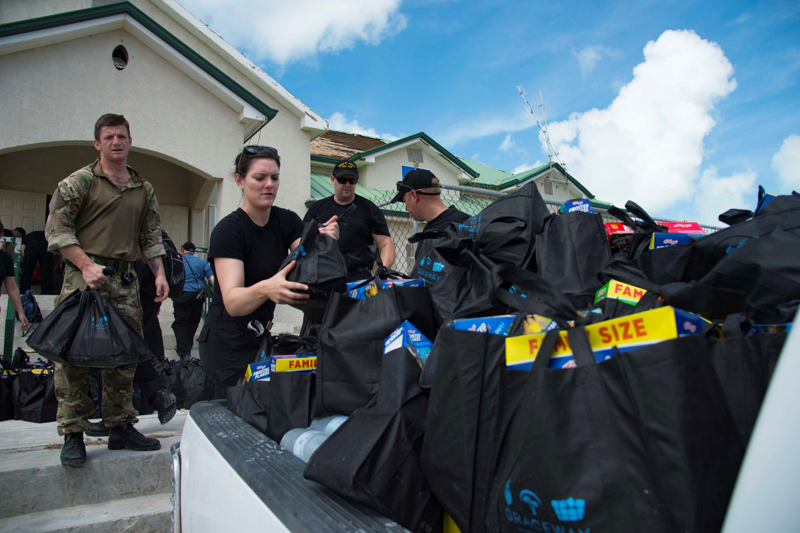 Previously, a CC-130J Hercules flew humanitarian supplies from Mississauga to the British Virgin Islands. As arranged by GAC, on its return flight it transported Canadians citizens and government officials to Toronto. The CAF has also established a liaison and reconnaissance team in Barbados. Its role is to facilitate CAF support to partners in the region. In early September 2017, Hurricane Irma hit the Caribbean. Hurricane Maria followed a few weeks later. These large-scale storms have caused widespread damage and a need for humanitarian aid and relief, including aid workers, fresh water and supplies. Einstein once said that after a nuclear war the living will envy the dead.....he also said that WW III would be fought with nuclear weapons. WW IV will be fought with sticks and stones. The United States maintains an arsenal of about 1,650 <https://fas.org/issues/nuclear-weapons/status-world-nuclear-forces/> strategic nuclear warheads deployed on Intercontinental Ballistic Missiles (ICBMs), Submarine-Launched Ballistic Missiles (SLBMs), and Strategic Bombers and some 180 tactical nuclear weapons at bomber bases in five European countries. The Departments of Defense and Energy requested approximately $26.8 billion in Fiscal Year (FY) 2017 to maintain and upgrade these systems and their supporting infrastructure, according to the nonpartisan Congressional Budget Office (CBO). CBO estimates that nuclear forces will cost $400 billion <https://www.cbo.gov/sites/default/files/115th-congress-2017-2018/reports/52401-nuclearcosts.pdf> between FY 2015 and FY 2024. An analysis <https://www.armscontrol.org/issue-briefs/2017-08/trillion-half-dollar-triad> by the Arms Control Association of <https://www.armscontrol.org/issue-briefs/2017-08/trillion-half-dollar-triad>U.S. government budget data projects the total cost over the next 30 years at between $1.25 trillion and $1.46 trillion in then-year dollars, meaning it includes price increases due to inflation. Note :A nuclear triad refers to the nuclear weapons delivery <> of a strategic nuclear arsenal <> which consists of three components: land-based intercontinental ballistic missiles <> (ICBMs), strategic bombers <>, and submarine-launched ballistic missiles <> (SLBMs). The purpose of having a three-branched nuclear capability is to significantly reduce the possibility that an enemy could destroy all of a nation's nuclear forces in a first-strike <> attack; this, in turn, ensures a credible threat of a second strike <>, and thus increases a nation's nuclear deterrence <>. TRIAD powers are the US of A; China; Russia and India. CURIOUS. India completed its nuclear triad with the commissioning of INS Arihant <> in August 2016. INS Arihant is a nuclear-powered ballistic missile submarine armed with 12 K-15 missiles <> with a range of 750 km, which will later be upgraded to K-4 missiles with an extended range of 3500 km.. India maintains a no first use <> nuclear policy and has been developing a nuclear triad capability as a part of its credible minimum deterrence <> doctrine. India's nuclear-weapons program <> possesses surface-to-surface <> missiles such as the Agni III <> and Agni IV <>. In addition, the 5,000–8000 km range Agni-V <> ICBM was also successfully tested and entered service this year ..India has nuclear-capable fighter aircraft. . Land and air strike capabilities are under the control ofStrategic Forces Command <> which is a part of Nuclear Command Authority <>. And you getting a pension? Well our pension basic is going to change - now Govt is going to tie our pensions - as private sector pensions - to the "market"
I found our about it 5 minutes ago from a neighbor. 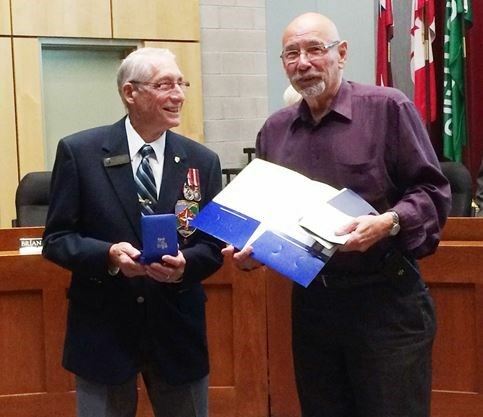 Sovereign’s Medal for Volunteers awarded to Doug Brunton At the North Grenville council meeting on Monday, Aug. 28, Mayor David Gordon awarded Doug Brunton with the Sovereign’s Medal for Volunteers. The Royal Canadian Legion warns members of the public of a fraudulent website that is misrepresenting themselves as the Legion. The website, displaying the Legion logo and VETS Canada logo plus information from the Legion’s national website, features an online ‘Legion Shop’ which sells Poppy items protected under trademark. In the recent decision Anne Cole v Attorney General of Canada (2015 FCA 119, Ryer J.A., concurring reasons by Gauthier J.A. ), the Federal Court of Appeal clarified part of the test for establishing a veteran's entitlement to a disability pension. The case also confirmed that entitlement decisions of the Veterans Review and Appeal Board (the "VRAB") that engage discrete points of law are to be reviewed by the courts on the less deferential correctness standard. Paragraph 21(2)(a) of the Pension Act states that for military service in peace time, if a veteran suffers a "disability resulting from an injury or disease or an aggravation thereof that arose out of or was directly connected with such military service, a pension shall, on application, be awarded…" Where there are both military and non-military direct causes of a condition, we know now that a veteran need only show that the military service factors were a significant, not primary, cause in order to satisfy that portion of the test for entitlement. 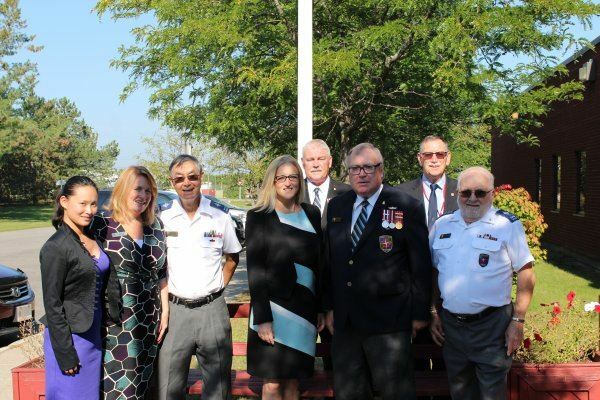 As you may know, the Veterans Review and Appeal Board recently welcomed seven new and six returning Members appointed by the Governor in Council, including four Canadian Armed Forces Veterans, three RCMP Veterans, and seven women. We continue to accept applications from candidates with military or other relevant experience who meet the selection criteria and are interested in serving on the Board. Applications must be made online via the advertised process before the closing date of July 31, 2017. To this end, I would appreciate your support in circulating this link broadly within your organization and the Veterans’ community. Thomas Jarmyn, the chairman of the Veterans Review and Appeal Board, attended an NVOC Board Meeting last fall. He took questions and outlined his hopes for the future development of the Review Board. The information that has been provided should give our members some information about the Veterans Review Board, how it functions, and what it hopes to accomplish in the near future. As we move into a new fiscal year, I would like to update you on a few items the Board is working on to provide Veterans and their families with a fair and timely appeal process for disability benefits. In 2016-17, the Board continued to provide applicants with timely access to hearings and decisions. As soon as representatives told us their cases were ready, we were able to schedule, hear and decide 97% of Reviews and 96% of Appeals within 12 weeks – one month faster than our service commitment of 16 weeks. Within this timeframe, we issued 87% of Review decisions and 88% of Appeal decisions within our 6-week service standard (which measures the time from hearing to decision). More workload statistics will be available in our 2016-17 Annual Report to be released later this summer. 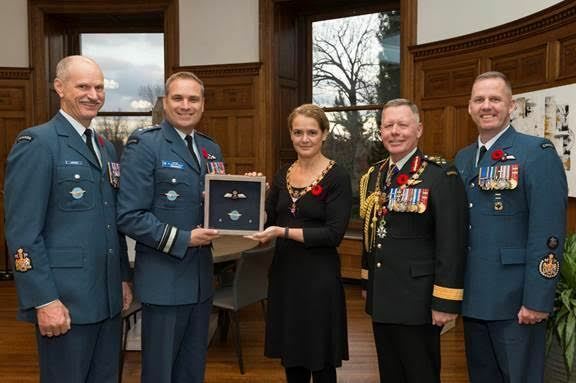 In March, the Board was very pleased to host Lieutenant-General C.A. Lamarre, the new Chief of Military Personnel, for a briefing and tour of our operations in Charlottetown. We appreciated the time he spent with us and his engagement in learning about the appeal process. It remains the Board’s priority to raise awareness of appeal rights among serving personnel, and to underline how important it is for them to document events in service and to seek treatment for injuries. I encourage you to read the Board’s first Departmental Plan, a new simplified report that replaces the Report on Plans and Priorities to provide parliamentarians and Canadians with information about our work and goals for the upcoming year. Our plan for 2017-18 outlines new and ongoing initiatives that will help us provide Veterans and their families with excellent service while ensuring they receive all the benefits they are entitled to under law. The Board continues to conduct pilots to test new procedures that will reduce our reliance on paper and eliminate the mailing of documents between our operations in Charlottetown and hearing locations across Canada. This, in turn, will allow us to process Veterans’ files more efficiently and faster. As part of this initiative, we are also working on giving Veterans access to their hearing documentation (known as the Statement of Case) through their My VAC Account. This way, Veterans will no longer have to rely on their representative to provide them with a copy. We continue to make plain language writing a priority, so that our decisions and communications are clear and easy to understand. In 2016-17, the Board updated its information brochure for applicants and will be sending you copies for your use later this Spring/Summer. Another exciting project we completed in the last quarter of 2017 was the production of four informational videos which will be published on our website shortly. The main video explains who we are and what we do, and portrays a Review hearing – so that applicants know what to expect ahead of time. The other three address the Appeal hearing, evidence requirements, and decision-making. These videos will be an invaluable resource for anyone wanting to learn more about the Board. We continue to publish our decisions online to fulfill our obligations under the open court principle, so that Veterans can see how the Board applies the law in cases similar to their own. There are now more than 6,000 decisions available, which are searchable by key word. Please help us to promote this important resource among your members. 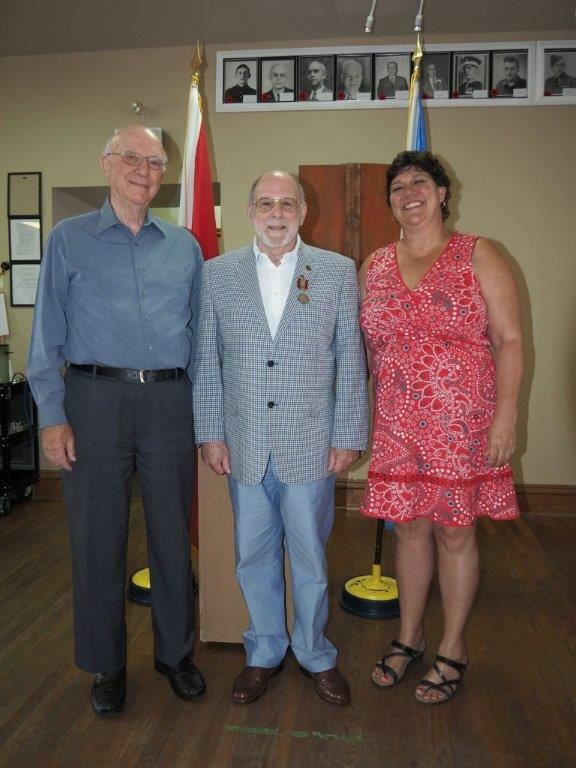 As you know, Board members who hear and decide cases for Veterans are appointed by the Governor in Council (GIC) on recommendation from the Minister of Veterans Affairs. Interested Canadians were invited to apply on a selection process for new members through the GIC website last November. Since then, the Board has been working with the Privy Council Office to finalize the process. There is also an anticipatory member selection process underway, to help us fulfill our membership needs into the future. The deadline for applications is July 31, 2017, with more information on the Governor in Council Appointments website. Please share this link with your members to help us get the word out about these opportunities. If you have any questions or concerns about the Board, please don’t hesitate to contact me. I am always interested in talking to you, or in meeting with you here in Charlottetown or in your location. Feel free to share this update with your members, and encourage them to follow us on Twitter for regular information about the Board’s activities. The Chief of the Defence Staff is planning to create a branch of human-resource professionals within the military that would be dedicated to helping retiring soldiers, sailors and aviators step more easily into civilian life. One of the most difficult problems facing the Canadian Forces in recent years has been the uneven, and often jarring, process for discharging personnel. That is especially true for members of the military who are forced out of their jobs as a result of a service-related injury and sometimes have to wait unreasonable amounts of time for the benefits that will cover their basic expenses. But even uninjured veterans, reservists in particular, have waited months for their first pension cheques. And the psychological impact of taking off a uniform for the last time can be severe. General Jonathan Vance told a Senate committee on Wednesday he has plans to make the transition out of the military more seamless. His plans include the re-establishment of a defunct branch of the Armed Forces called the personnel administration branch and the eventual disbandment of the Joint Personnel Support Unit (JPSU), which was created during the war in Afghanistan to deal with the needs of ill and injured soldiers and now performs many of the discharge functions. “We will change our approach from that which is provided by the current JPSU and staff an organization that will exist across the country and provide expertise and direct support to those members who are retiring, regardless of what the reason is for why they are retiring,” Gen. Vance told the senators. The intent is to put the job of transition into the hands of trained human-resource experts and to ensure that no member leaves the forces without all of their paperwork completed, the general said. In fact, he later told reporters, he would like no member of the military to leave the forces until their first pension cheque is ready to be mailed. The time it takes to process a military pension improved last year when the public service took over the job. Now, 96 per cent of all retiring members of the Canadian Armed Forces who complete their paperwork on time are getting their cheques within a month, Gen. Vance said. He said while the new branch would initially be involved with the transition, it could later expand to perform other human resources functions. But much more could be done to make the retirement process easier and to improve the lives of veterans, he said. “It’s a truism that if you leave well, content, satisfied, looking back on your career, then you will provide more of a positive reinforcement to those who wish to join,” Gen. Vance said. 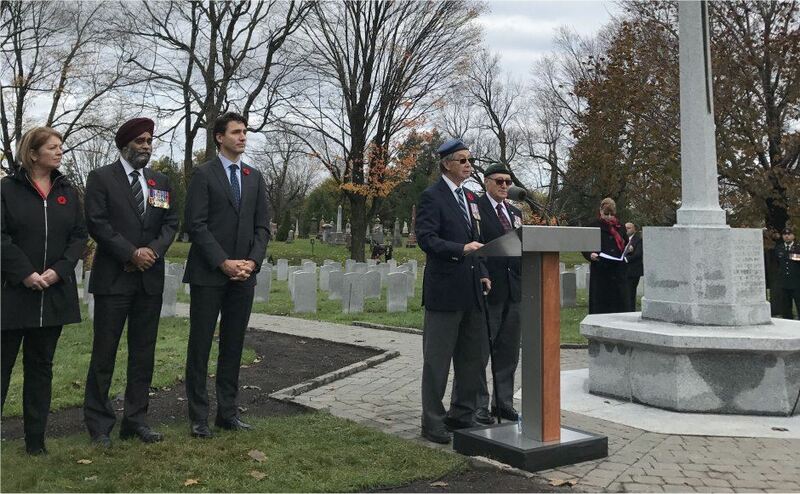 Prime Minister Justin Trudeau told Defence Minister Harjit Sajjan and Veterans Affairs Minister Kent Hehr in their mandate letters to create a “seamless transition” from the military to Veterans Affairs. And both the Military ombudsman and the Veterans Affairs ombudsman have said this must be a priority. That could mean allowing injured military personnel who no longer meet the universality of service rule, which requires them to be ready to deploy anywhere at any time, to stay in uniform longer, Gen. Vance said. At the same time, he said, those members also must be fully aware that their primary mission is to prepare for the transition and to take part in any rehabilitation and acquire any skills or education they will need to succeed as civilians. “Many of our policies underpinning how we manage our people are decades old or they have their basis ideas in decades-old ideas about modern human-resource management and personnel management in an armed forces. They are out of date,” Gen. Vance said. you show it in your actions each day. will have its own distinct waiting list that will be managed by CCAC. involved and we plan to formally thank everyone later this year. served as the chair of the Perley Rideau Foundation. attract additional media attention in the days ahead. indispensable to the health system. and I invite all of you to share this terrific news. Veterans Information Session Veterans, the RCMP and their families are invited to attend a free veterans' benefits and VRAB Information Session. 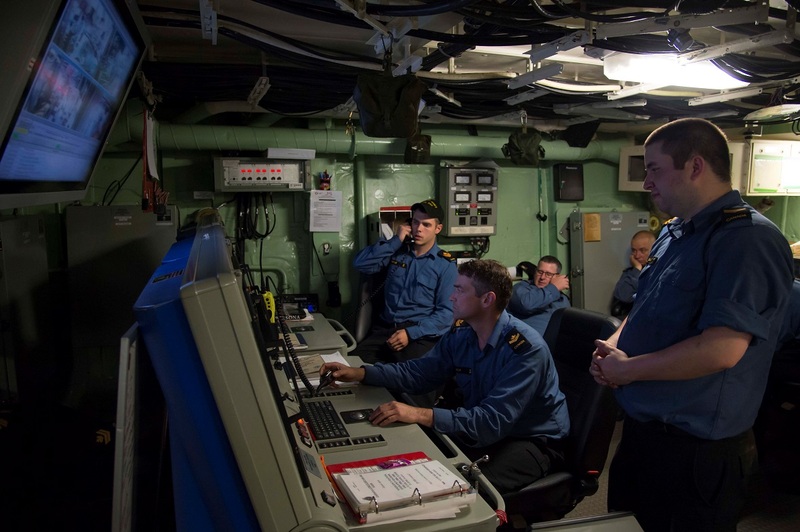 Canada's NATO Brigade Harold A. Skaarup's website opens on 4CMBG with a lot of photos, crests and pics/bios of commanders. The right hand side of the site provides links to a number of other photo collections of interest to those who like military kit. The link below was released by Veterans Affair Canada March 16. If you received a disability cash award since 2006 I strongly recommend you read all the material in the release. This is a result of the 2016 election promises made by the Liberal Government. The Veterans Transition Network The Veterans Transition Network, is currently hosting a series of sessions aimed at guiding veterans with Operational Stress Injuries (OSI) through the transition process by focusing on counselling and peer support. Though the organization is national, this current series of sessions, entitled the Men’s Manitoba Veterans Transition Program, is being held in Manitoba. This session, and others like it, are held across the country, several times throughout the year. The program is a ten-day retreat with four to six veteran participants. The current session is being held on the weekends of Feb. 17, March 3 and March 10. The retreat is led by two clinicians who are experienced in working with the military and trauma populations. They then receive additional training from VTN. These clinicians are supplemented by two paraprofessionals, veterans who have previously gone through the program. At its core, the program is aimed at providing peer support and counselling. “We really want to be a military peer-to-peer program, as well, because those that have been there know most about it. So, having that support system is really important to us,” said Jenna Bind, Operations Coordinator Western Canada, VTN. The retreat gives the veterans a chance to speak about their shared experiences and the traumatic events that have shaped them. “Because they're working with other veterans, and they have that support network, they are able to open up quite quickly on these weekends; sometimes, more so than in some longer term counselling where they're alone or working with someone not specialized in working with military population,” added Bind. The veterans are given tools and taught strategies on communication, especially in the civilian world, goal setting for the future and Post Traumatic Stress Disorder (PTSD)/OSI management techniques. The sessions are broken up by several weeks in between to allow the participants time to practice the learned skills and come back and discuss their experiences. The organization has been looking to expand in Manitoba for some time now. So far, VTN has held three programs in Manitoba over the last few years, mostly expanding through word-of-mouth. Those who have attended, attest to the impact the program can make. “One of the veterans that I talked to, he’s a paraprofessional now, what it [the program] did for him, [was that] he was able to take something that happened to him, that was really hard, and it’s still there, but he was able to kind of put it on a shelf, and he can look at it now and say: ‘those things happened, and they were terrible, but I accept it. I accept where I was in it.’ And he can look at it now without making him feel anxiety, without making him feel depressed, without making him have that emotional response that makes him closed off to the world,” explained Bind. VTN covers the cost of transportation, lodging, and food for its participants. “We really want to have it accessible to everybody. We don’t want someone’s location or financial situation to prevent them from our attending our programs,” noted Bind. According to Bind, the attendees of these retreats often form life changing relationships, an experience all veterans should have. “We all deserve to have a high quality of life, and we all have baggage and things we are carrying, especially in the military; but when you transition out of the military your support systems and network around you are often lost a fair bit, and it can be hard to regain that and kind of find your footing. So, whether you just have a bit some anxiety or are facing some challenging issues a program like this can really bring you into the fold of a group of people that really understand what you're going through and give you that support,” said Bind. 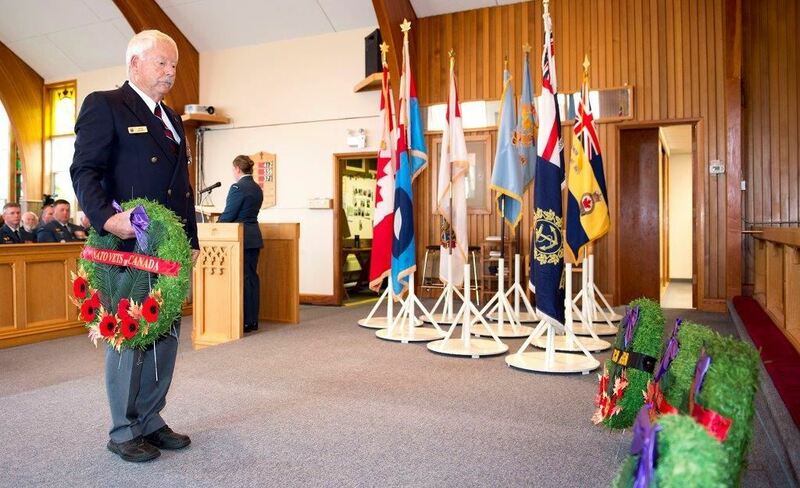 The next Men’s Manitoba Veterans Transition Program is scheduled for sometime in June. VTN holds similar retreats across the country. 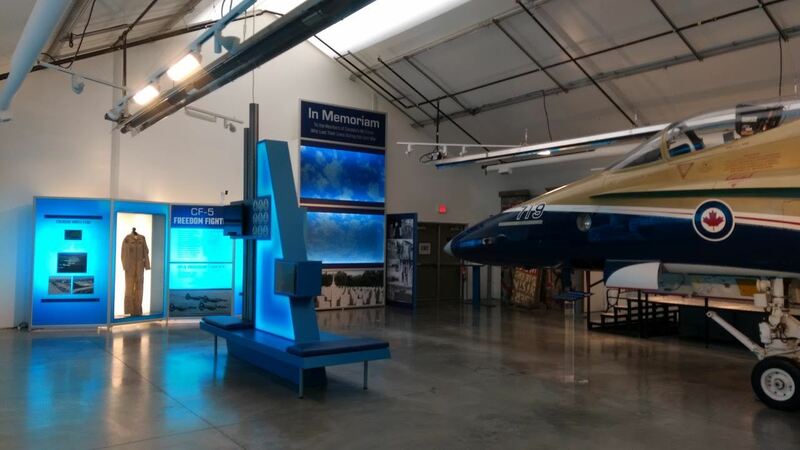 To see the dates for upcoming events check out the schedule on the VTN website . There has been progress ... but is it enough? My goal is to ensure fairness for Veterans. We make recommendations, informed by evidence, to improve the quality of life for Veterans and their families. Today I have posted a status update, on all the recommendations made by my Office since its inception. To date, we have made 57 recommendations and, of these, the Government has fully or partially implemented 37, leaving 20 still to be addressed. The Government is making progress addressing Veterans’ issues. For example, some of the announcements in Budget 2016—increasing the Earnings Loss Benefit (ELB) to 90 percent of pre-release salary and increasing the Disability Award to $360 K—will have an impact on the lives of many Veterans and their families. But is it enough? No, more still needs to be done. I encourage you to look at the full status update on my recommendations. Budget 2017 is an excellent opportunity for the Government to take additional action. Let’s keep a watchful eye on it. I know I will.